I often draw many of the lessons that I like to teach from daily life. And it was in a conversation with my eldest last week that got me thinking around the topic of fear. It’s one that I often write or speak about because it’s so common to see people holding themselves back from amazing things in life because of their fears. And I understand it, fear is there in an attempt to keep you safe, but the reality of it, is that fear just keeps us playing small. It holds us back from amazing experiences and really following our dreams. I actually feel quite blessed because I have never been the type of person to allow fear to stand in my way, naturally a bit of an adrenalin junkie I have jumped off bridges, done bungee jumps, a sky dive, started my business not knowing what the hell I’m doing, moved to another country, joined groups and masterminds that absolutely terrified me, so I kinda thrive of doing the things that scare the begesus out of me. Apart from swimming with sharks, I think that is the one thing that scares me the most and will probably never do. Hmmmm maybe there is a challenge right there!! The point I was getting to, was something that Clayton (who is 7 years old) said to me. I said probably what most parents would say. When you are learning anything, you are expected to fall and in fact you are probably going to fall a LOT. What about when babies learn to walk. They just keep getting back up and trying again right?? It’s so easy to give that support and encouragement to a child, but what about when we are trying to convince yourself to go and do something new, and then to keep on trying when things don’t work out. Don’t let the fear of failing put you off from reaching your greatness. Recognise it, feel it, know it’s ok to be scared and it’s completely natural, then start to transform that fear into excitement. Learn to stand up to the things that scare you, feel that fear and go and do it anyway, and when life knocks you down, damn well get back up and try a different approach. Because that is when life starts to get really exciting and you are just one fall away from an amazing breakthrough. 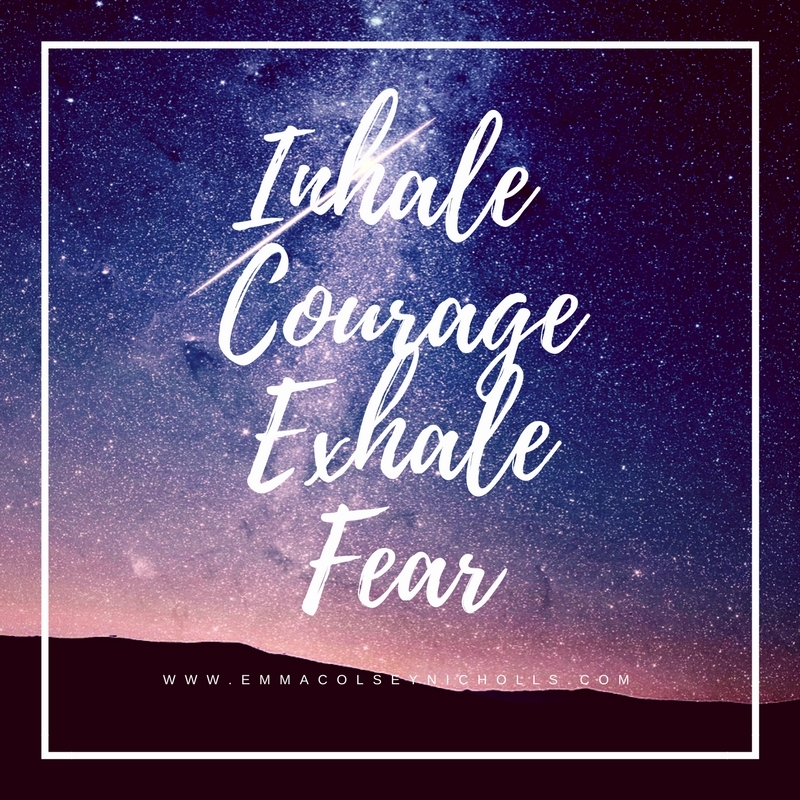 PS – Fear is just one of the topics we cover in our transformational retreats and Im super excited about one of the activities we are including this year. To help you identify your fears and give you the tools and mindset shifts, so you recognise fear and use it to your advantage, preventing it from holding you back in achieving your life goals ever again. CLICK HERE to get on the retreat priority list and find out more.